You are at:Home»Equity ETF Channel»Did You Know the Bull Market Turns 10 on Saturday? 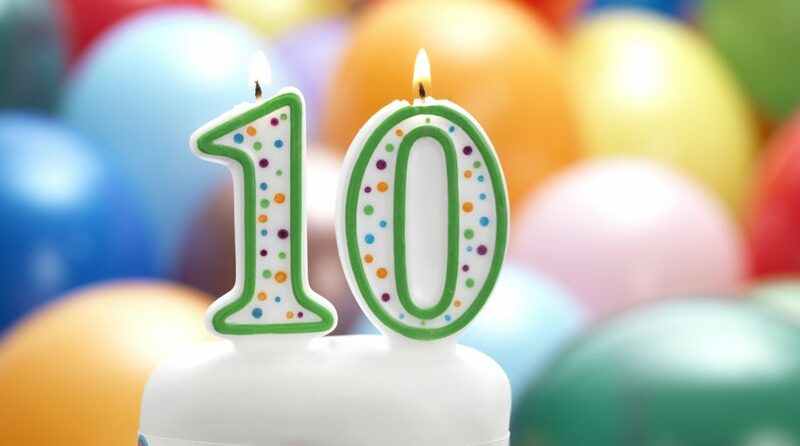 Despite the Dow Jones Industrial Average looking at its fifth straight losing session on Friday, it’s easy to forget that the bull run in the stock market is still underway and will turn 10 years of age on Saturday, March 9. Despite the latest declines due to fears of a global economic slowdown, the major indexes are still up to start 2019. The Dow Jones Industrial is up 9.20 percent, while the S&P 500 is 9.66 percent higher and the Nasdaq Composite is up 9.20 percent. The rise comes as investors are picking themselves after a tumultuous way to end 2018. The Dow fell 5.6 percent, while the S&P 500 was down 6.2 percent and the Nasdaq Composite declined 4 percent. However, other analysts feel that the bull market is on borrowed time. In addition to fears of a global economic slowdown permeating the markets, other investors feel the trigger event of a U.S.-China trade deal was already priced into the latest gains in the stock market. “It’s a late-stage market with one last rally in it,” said Jared Woodard, global investment strategist for Bank of America Merrill Lynch. A confluence of events the last 10 years contributed to the serendipitous rise of the extended bull run. One being that the markets fell so far down in the midst of the financial crisis that the only way out was back up. “There was a lot of catching up to do,” said Yung-Yu Ma, chief investment strategist of BMO Wealth Management. Wider profit margins during the extended bull run also came due to contained inflation. Most recently, a mix of data regarding manufacturing, business confidence and consumer data have tempered growth prospects, which has prevented inflation from going past the 2 percent target the Federal Reserve set–2018 marks the seventh year inflation hasn’t gone past this target. As a result of the financial crisis, investors have also gotten more cautious and the extreme risk-on sentiment prior to the crisis has been largely absent. This could also be the byproduct of stricter financial regulatory measures, such as the Dodd-Frank Act that established more agencies to increase oversight. Businesses have also dialed down their hiring, investing and overall spending, which is translating into more earnings. According to Ware, this pushed annual earnings gains to 12 percent versus the historical 5.5 percent. Will the good times keep rolling?